Bankruptcy in the state of Florida can be filed by an individual without the aid of an attorney or document preparation agency. Yet, it is still recommended that anyone filing for personal bankruptcy should seek legal counsel. The federal bankruptcy code creates different categories of bankruptcy, known as chapters, which gives debtors different ways of dispensing with debt. The two most common forms of individual bankruptcy available to any resident of Florida are chapter 7 and chapter 13. This brief “how to” guide is written in with a systematic process for both types. Note: After filing for a chapter 7 bankruptcy, a debtor must wait 6 years before they will be allowed to file again. A chapter 7 bankruptcy begins with a petition filed at the federal district courthouse servicing the area the filer lives in. Under federal and Florida law, an individual, partnership, or corporation can file chapter 7 regardless of the amount of debt. This petition paperwork is provided by the courthouse or can be obtained online at many legal websites. Along with the petition, or shortly after the initial filing, the debtor must also submit several schedules listing current income, expenditures, and a statement of financial affairs, executor contracts, existing or potential lawsuits, and any recent transfers of assets. If a debt is omitted then it will not be covered in the bankruptcy. Filing the petition automatically stops all creditors from trying to collect money that is owed. This stay period happens automatically without any judicial action. The stay period is effective from the time of filing, even if creditors are not aware of it until later. 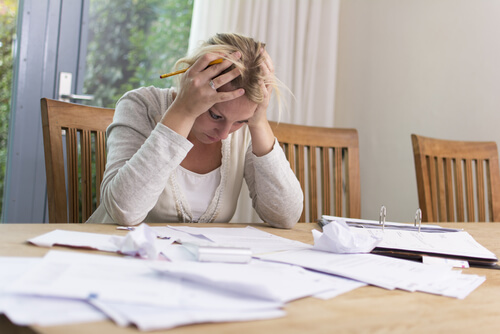 In this period, lawsuits, garnishment actions, and even phone calls to the debtor must stop. Once the petition is filed for a chapter 7 bankruptcy, the court immediately appoints a trustee to administer the overall case and liquidate any non-exempt assets to pay off creditors. The trustee will call a meeting for the debtor’s attorney and the creditors wishing to collect debt. The debtor must attend this meeting and creditors may attend in order to ask questions and examine documents concerning a debtor’s financial affairs. In most individual bankruptcy cases, all of the debtor’s assets are either exempt or subject to valid liens, which leaves no assets for a creditor to pursue. These cases are called no asset cases and many times a creditor will not show up. After the creditors meeting takes place, all creditors can file a claim against the debtor with the court. This is done so that a creditor can make a claim against nonexempt assets free of security interests. The idea of having a trustee is to liquidate the debtor’s non-exempt assets and pay off as many creditors as possible. A chapter 7 bankruptcy concludes when the trustee sells the debtor’s property, distributes any cash to the creditors, and discharges the remaining debt. The final discharge, ordered by a judge, ends the debtor’s remaining personal liability on the debt. Some debt is not dischargeable such as alimony and child support, most tax obligations, most student loans, and liability for damages resulting from willful or malicious acts. During this process, creditors can ask the court to deny an individual debtor a discharge. The grounds for approval are based on whether a debtor fails to adequately explain the loss of assets, the debtor perjures him or herself or fails to obey lawful orders of the court, or the debtor fraudulently transfers, conceals, or destroys property that should be included in the bankruptcy case. Chapter 13 bankruptcy is considered a wage-earner plan because it is generally used by people with stable incomes who want to repay at least some of their debts but cannot handle the full brunt of it. The biggest advantage of a chapter 13 over a chapter 7 is that the debtor is allowed to keep his or her property and set up a court-approved payment plan. Only individuals with less than $100,000 in unsecured debts and less than $350,000 in secured debts are eligible to file chapter 13. The petition is similar to that mentioned above in the explanation on chapter 7. The debtor provides the court with lists of all creditors including amounts and the nature of claims, the source and amount of income, lists of all property, and detailed descriptions of the debtor’s monthly living expenses, including groceries, clothing, shelter, utilities, taxes, transportation, and medical care. The stay period is identical to that of chapter 7 except that chapter 13 contains a provision that prohibits creditors from collecting on a debt owed by a third person such as a cosigner. Federal and Florida law state that within 15 working days of filing for a chapter 13 bankruptcy, a debtor presents a plan to the bankruptcy court listing out how he or she intends to pay off debts over a three-year period, or in some cases a five-year period. These must be paid out based on priority and federal bankruptcy law lists several categories of unsecured claims that have priority over other unsecured claims including costs of administering the bankruptcy, employee’s wages, salaries and commissions, contributions to employee benefit plans, deposits accepted by the debtor for personal items or services that the debtor did not deliver, and taxes. Individuals seeking to fill out this plan should get the aid of an attorney to ensure it is filled out properly. If the plan is not done correctly the court can deny the document and the bankruptcy cannot proceed. A meeting is usually held about one month after the initial petition is filed. A trustee and filer must attend the conference, and creditors have the option of coming also. The idea of the creditors meeting is for the creditors and trustee to question the individual filing the plan about his or her financial affairs and any possible problems with their plan. Some problems can be solved at this meeting. After the meeting mentioned in step 4, the bankruptcy court will make a final determination whether the plan is feasible and meets the standards set forth in the bankruptcy code. Creditors can dispute the plan if they believe that a debtor has not pledged enough income to the plan or that the creditors receive less than they would if the debtor’s assets were simply liquidated. If the plan is approved by the court, a portion of the debtor’s paychecks will go to a court-appointed trustee who divides the money among the creditors. At that point, the creditors are prohibited from garnishing wages or repossessing property. Once all payments are made, the plan approved by the court is complete and the bankruptcy is successfully discharged. The discharge releases the debtor from all debts provided for in the plan. The Federal Bankruptcy code also allows an individual to file a chapter 11 or 12. Chapter 11 is available for individuals, but is generally used by troubled corporations and partnerships. Chapter 11 allows the debtor to remain in operation and reorganizes debts in a way that they can pay them. It is designed to keep businesses up and running rather than liquidation. Chapter 12 is available only to farmers and is very similar to chapter 11. Before choosing either chapter 11 or 12, an individual should consult an attorney. Mr. Diaz is a Legal Document Preparer in Florida and New York with over 15 years of experience. He has launched an informational website for self-representing litigants (pro se) in the state of Florida. You can read more about his site at Florida Court Forms. For more information about this article, visit his Florida Bankruptcy web-page.